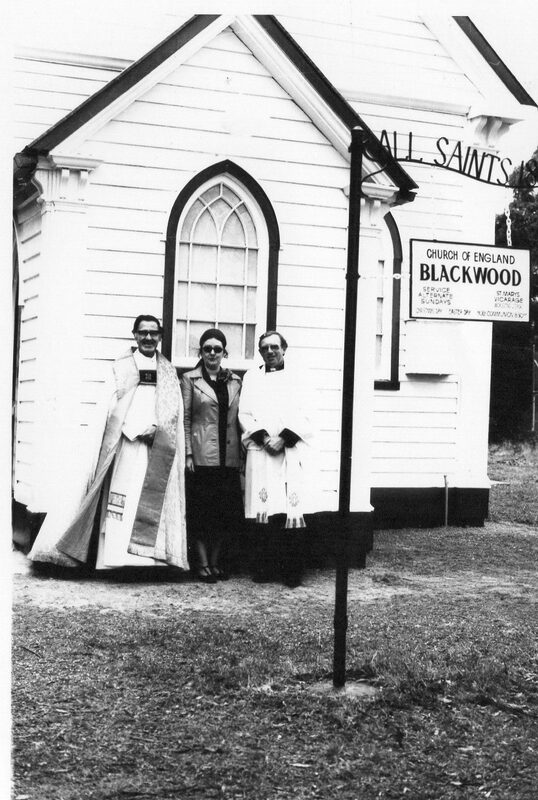 The History of Blackwood – ALL SAINTS ANGLICAN CHURCH. On Sunday 8th December 2013, All Saints Church in Blackwood is celebrating 150 years with a special service. To commemorate this occasion this I have been asked for some history on the church. In 2013 All Saints Blackwood joined the Parish of Bacchus Marsh in the Diocese of Melbourne. This historic Church, dedicated on 29 October in 1865, is one of the few remaining Churches dedicated by Bishop Charles Perry, the first Bishop of Melbourne. ‘The Church Gazette’, the Church of England Newspaper of the time spoke of an “exceedingly neat, well-constructed building which stands on a hill commanding an extensive prospect. 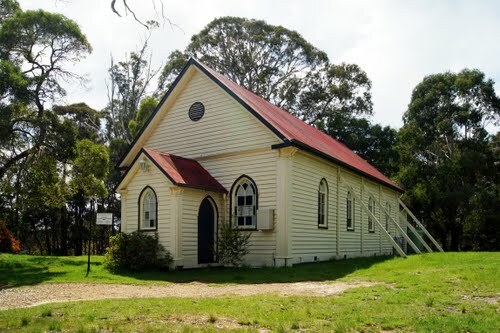 The scattered character of the population and its isolated position render it very difficult to maintain there the ministry of the Church and due pastoral visitation of its people.Early services were held in the newly opened Anglican school in Golden Point in 1855. Initially the officiating clergy came from Kyneton. At the height of gold-mining activity in the area around 1855 the local population was estimated to be about 30,000. By 1864 services were being held in schoolhouses at Golden Point and Simmons Reef. The Revd. 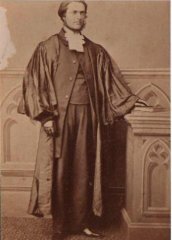 Matthew Henry Ashe became the first Rector of Blackwood in 1866 and remained there until 1873. Revd. Matthew Henry Ashe courtesy of his descendant Judy Auld.The second Rector was Rev. 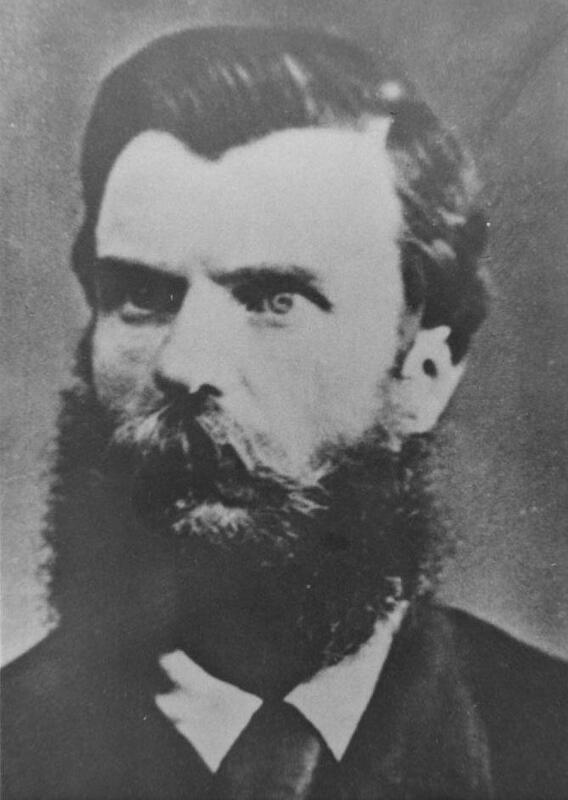 Frederick Smith who arrived in July 1873 and remained until 1876. 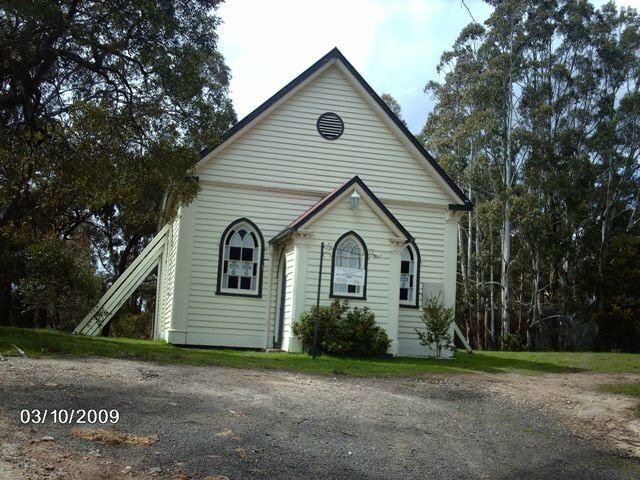 He also looked after Christ Church Myrniong, and the Sunday School at Simmons Reef, and in 1874 he conducted church services in the school house in Barrys Reef, Blackwood. This was before Barrys Reef had their own church, St. Stephens built. During his stay in Blackwood is the first mention of the Chinese Mission at Golden Point, Blackwood, with the first Chinese Catechist being Peter Back Soo. Since 1857 there had been a Chinese congregation at Golden Point. In 1874 there was still a congregation of some 35 Chinese people, and the Chinese Catechist, Peter Back Soo, was known to preach sermons that went on for a couple of hours. Sometimes services at Blackwood were taken by the priest and lay-reader at Bacchus Marsh, which was the neighbouring parish. In the 1860’s there was a lay-reader in Bacchus Marsh, George Andrew Scott, the son of an Anglican priest, who was later jailed for holding up the Bank at Egerton. He became known as “Captain Moonlight” and on his release from jail in 1879 was involved in a siege in NSW in which he shot and killed a policeman. He was hanged in 1880. It has been said that he may have taken a service at All Saints. Captain Moonlight courtesy Margot Hitchcock B.D.H.S. The third Rector, Archibald Turnball, appointed in 1877 was kept busy with three Churches (Blackwood, Simmons Reef, and Barry’s Reef), four Sunday Schools, baptisms, marriage services, burials, confirmation classes and the Chinese mission and was away from home a great deal. In his absence, a local Bank Clerk, Frederick Horne, was a frequent visitor to the Rectory and he began an affair with the Rector’s wife. Eventually Frederick Horne and Archibald’s wife Harriet Turnball, went off together. Archibald was granted a divorce in 1878. This would have been a scandalous event in those days. The Revd. Robert Buchanan was the last priest to live in the Rectory, leaving in 1898. In 1889 Blackwood became part of Trentham parish. Lay readers lived in the Rectory until 1915, when it was renovated and leased, and then finally sold in the 1950s. Although Blackwood is within the boundaries of the Diocese of Melbourne, when the Diocese of Bendigo was formed in 1902, Trentham became part of that Diocese, so Blackwood has been looked after by clergy from the Diocese of Bendigo since that time. In 1942 Trentham, and with it, Blackwood, became part of the Parish of Woodend. Over the years there has always been at least two services a month at All Saints, which was the current pattern. With grateful acknowledgement to the notes of Penny Garnett, May 1978, and A History of the Diocese of Bendigo, 1902 – 1976 by Dr Keith Cole, “Aspects of early Blackwood” by Alan Buckingham and Margot Hitchcock, and Archdeacon N.D.Herring’s Manuscript History, the major sources for this brief history. All Saints Anglican Church, Blackwood. Courtesy – Margot Hitchcock B.D.H.S. 2009. Some more History of All Saints Anglican Church, Blackwood. Compiled by Margot Hitchcock, Historian for the Blackwood & District Historical Society. September 2018. It is with some sadness I read in The Blackwood Times Facebook site of the sale and now the Deconsecration on Tuesday 18th September of All Saints Anglican Church in Blackwood. Part of our valuable history in now lost in time, with the sale of this historical church for nearly half a million dollars. In a previous article I wrote some history of the church, and here is some further history. The Revd. 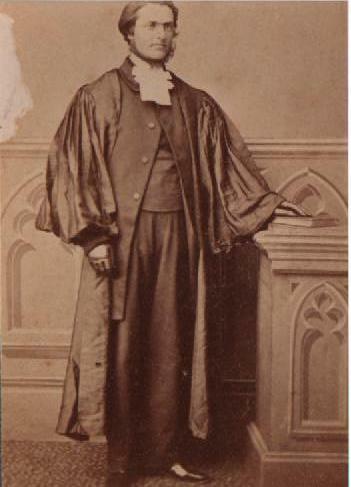 Matthew Henry Ashe became the first Rector of Blackwood in 1866 and remained there until 1873. Sometimes services at Blackwood were taken by the priest and lay-reader at Bacchus Marsh, which was the neighbouring parish. In the 1860’s there was a lay-reader in Bacchus Marsh, George Andrew Scott, the son of an Anglican priest, who was later jailed for holding up the Bank at Egerton. He became known as “Captain Moonlight” and on his release from jail in 1879 was involved in a siege in NSW in which he shot and killed a policeman. He was hanged in 1880. It has been suggested that he may have taken a service at All Saints. The third Rector, Archibald Turnball, appointed in 1877 was kept busy with three Churches (Blackwood, Simmons Reef, and Barry’s Reef), four Sunday Schools, baptisms, marriage services, burials, confirmation classes and the Chinese mission. The Church gained further notoriety when a lay reader, Harold Robinson, was shot and killed in 1908 while walking on the verandah of the vicarage next door, reading a theological book, by a mentally disturbed man, Billy Pincombe who lived opposite. The bullet passed through the book. Many years later this book “On Faith and the Creed” by C.A. Heurtley complete with bullet hole, was found at a Church fete, and presented to All Saints Blackwood where it was on display, but has since been removed to the Anglican Archives Museum in North Fitzroy. Although Blackwood is within the boundaries of the Diocese of Melbourne, when the Diocese of Bendigo was formed in 1902, Trentham became part of that Diocese, so Blackwood has been looked after by clergy from the Diocese of Bendigo since that time. In 1942 Trentham, and with it Blackwood, became part of the Parish of Woodend. Over the years there has always been at least two services a month at All Saints, which was the current pattern. In 2013 All Saints Blackwood joined the Parish of Bacchus Marsh in the Diocese of Melbourne. It was one of the oldest remaining buildings in Blackwood, and the only Church in the town to have remained in continuous use, with the help of the late Lindy Cann. But gradually regular services were stopped until there was no call for them with the decline of regular church goers. The church has been most useful for celebrated Baptisms, Weddings and commemorated funerals for services for departed pioneers and valued citizens of Blackwood. This service will be sadly missed by the families who relied on it for the family celebrations. Many records and notes show notable and local people have been married or had a funeral service celebrated and commemorated at All Saints Church. Robert Carruthers and Catherine Sweet were No. 1 in the register names when they got married at All Saints Church of England in Blackwood, on the 11th October 1877. The church was consecrated in 1865, but there were most probably earlier marriages and before theirs in 1877. A birth certificate shows Catherine Sweet born 1850, was the daughter of Matthew Sweet and Mary Kelly, early pioneers of Blackwood. Catherine Sweet was related to the Sweet family of Wally and Barbara Sweet of Blackwood and their daughter Jenny Sweet who married Tony Darwen at All Saints Blackwood. (See photos of their wedding). 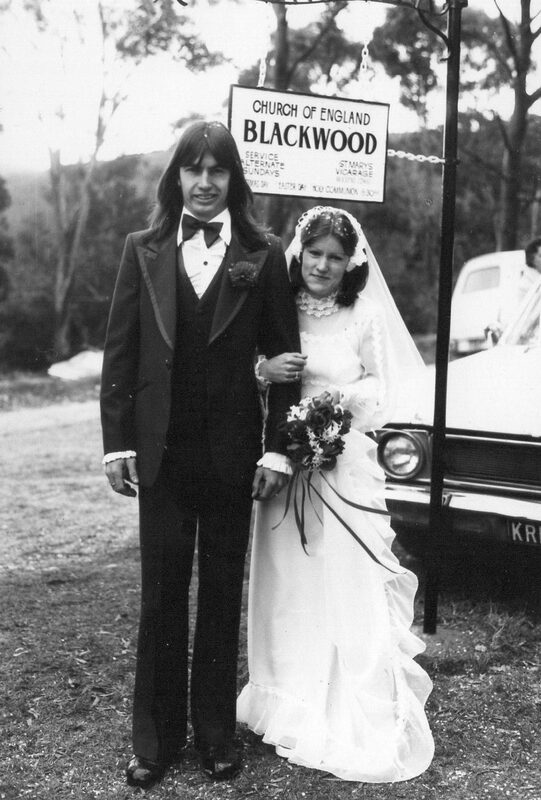 Jenny Sweet’s wedding to Tony Darwen, All Saints, Blackwood. Courtesy Margot Hitchcock. 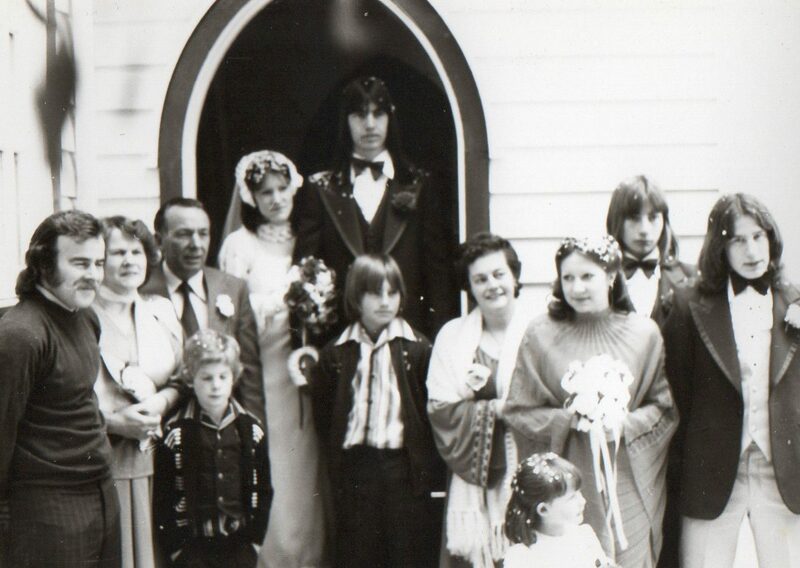 Jenny Sweet wedding to Tony Darwen, All Saints, Blackwood with Barbara & Walter Sweet 2nd & 3rd on left. Courtesy Margot Hitchcock. Lindy Cann and two ministers at the wedding of Jenny Sweet to Tony Darwen, All Saints, Blackwood. Courtesy Margot Hitchcock.